Snow. Ice. Mud. Rivers of rain. When winter weather flings its worst at the northwest, it’s not just drivers that have to bear the brunt of the unpleasantness. The roads themselves take a constant beating from the elements – and that means our maintenance crews have to be on their toes to keep the highways drivable. Crews use the dry summer months to inspect and repair the highways – everything from filling cracks and patching potholes to replacing signs and maintaining culverts. Getting all that work done in the good weather means that the highways are prepared and ready to meet the bad weather – and that’s good news if you plan to hit the road during the winter months. 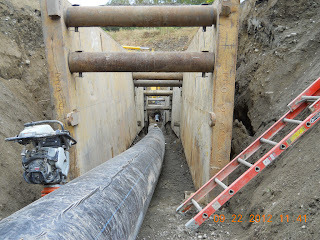 While all maintenance is important, our crews give special attention to highway drainage culverts. If you’re like most drivers, you’ve probably never noticed our culverts – that is, unless something has gone wrong. Flooding, potholes, sinkholes and big dips in the road are all highway maladies that can result from clogged or damaged culverts. Despite our best intentions – and attention – sometimes old culverts don’t make it through a winter unscathed. There’s not much maintenance crews can do in the winter when the corroded old pipes begin to fail, except patch the resulting potholes and road divots. Until recently, the stretch of US 2 near Bickford Avenue was a particular headache for maintenance crews. Five culverts cross beneath the highway, carrying stormwater to nearby detention and treatment areas. And all five of those culverts were one storm away from falling apart. Fortunately for drivers – and our maintenance crews – those culverts got ripped out this summer as part of a larger project to improve the nearby Bickford Avenue intersection. Installed in their place were five new culverts made of thick, heavy, rubberized plastic to better withstand the elements. 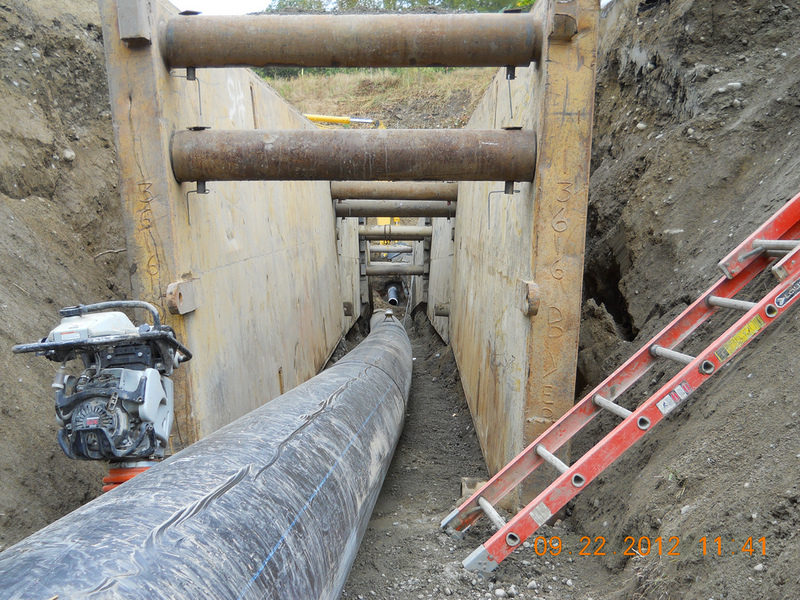 This entry was posted on Friday, November 16, 2012 at 3:22 PM and is filed under culvert replacement, culverts, flooding, rain, US 2. You can follow any responses to this entry through the RSS 2.0. You can leave a response.